A Turkish court has freed U.S. pastor Andrew Brunson, who has been jailed in Turkey for almost two years on terrorism charges. The court sentenced Brunson to three years and one month in prison and decided to release him based on his time already served as well as his manner during the proceedings. The case had soured relations between the two NATO allies, with the U.S. administration slapping sanctions on two Turkish officials for their “role in the imprisonment” of the pastor after Turkey failed to release him in July. The key takeaway from Turkish court’s decision to release him is that playing hardball with Turkey’s President Recep Tayyip Erdogan pays off. 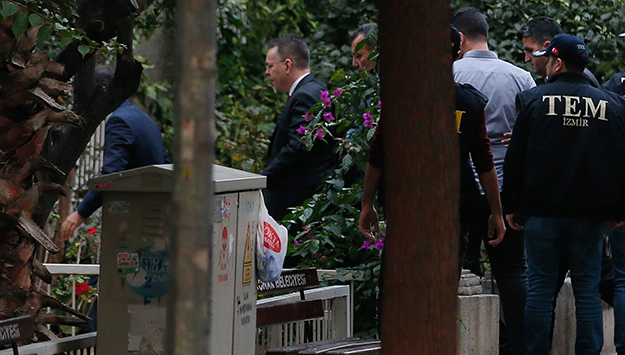 The U.S. has been in talks with the Turkish side for over a year over the fate of Brunson. Reportedly, the U.S. side offered concessions before the July hearing. It was only after the sanctions that the pastor was released. The Turkish lira hit an all-time low following the sanctions, unnerving Turkish officials who face increasing economic troubles at home. Threat of further U.S. sanctions if Ankara failed to release the pastor seem to have played an important role in today’s decision. The case once again revealed the sorry state of rule of law in Turkey. Brunson was arbitrarily detained, although “evidence had yet to be gathered.” He was denied access to an attorney for a long time. The court heavily relied on anonymous witnesses, who retracted their prior testimonies against Brunson in today’s hearing clearly because a deal was cut between Turkish and American officials on his release. Today, the court convicted Brunson of aiding terrorism, a charge that has landed thousands in jail for long-term prison sentences. Yet, Brunson was released, once again showing the political nature of the judicial process in Turkey. Brunson’s release is a welcome development but it will by no means leave a clean slate for Turkey-U.S. ties. There are many outstanding issues, such as Turkey’s decision to purchase a Russian S-400 missile defense system, U.S. cooperation with the Syrian Kurdish militia the YPG, and the upcoming sanctions on Iran. But today’s decision is likely to clear the air between President Donald Trump and Erdogan, which might create a more constructive environment for negotiations on these issues.